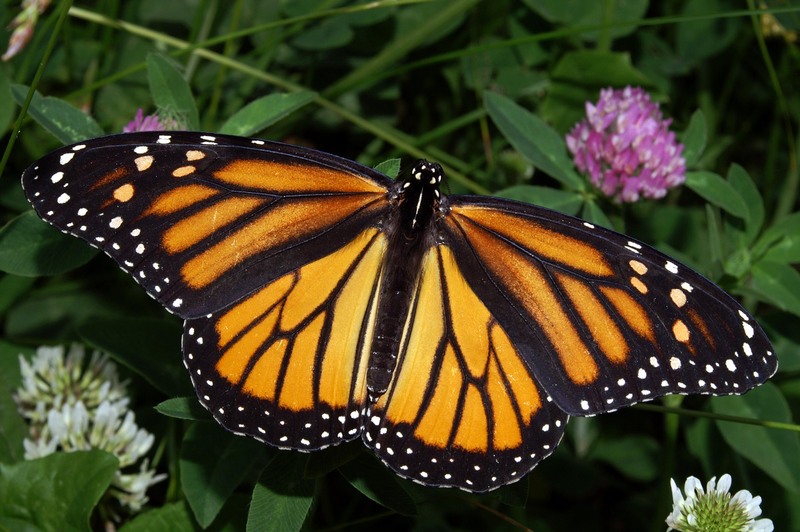 The goal of the project was to establish monarch habitat on 3,311 acres of privately owned land in Iowa (and we were able to exceed this and plant 5,242 acres!) by enhancing existing programs within the Iowa Department of Agriculture and Land Stewardship – Division of Soil Conservation and Water Quality. By working through existing programs, including the Buffer Initiative Program, Conservation Reserve Enhancement Program, Abandoned Mine Land Program, and Urban Conservation Program, landowners can receive cost-share to establish monarch habitat on their property. The USDA- Natural Resources Conservation Service is a major supporter of this program. The project was funded by a $227,400 grant from the National Fish and Wildlife Foundation, which was awarded to Pathfinders RCD.